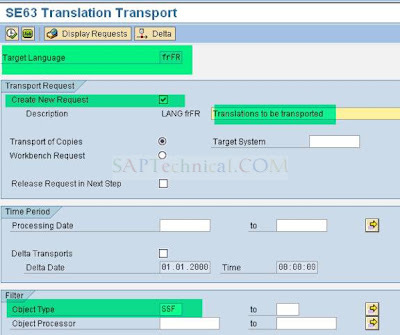 For Transporting the SE63 translation maintained for smart forms, sap script or workflow. Go to SE38 and execute the program RS_LXE_RECORD_TORDER. On a selection screen Enter the target language, Short Description for the transport request, object type as SSF. When you run it now it will in return give you transport number. Use the same transport number for move translation in quality system and then production system.